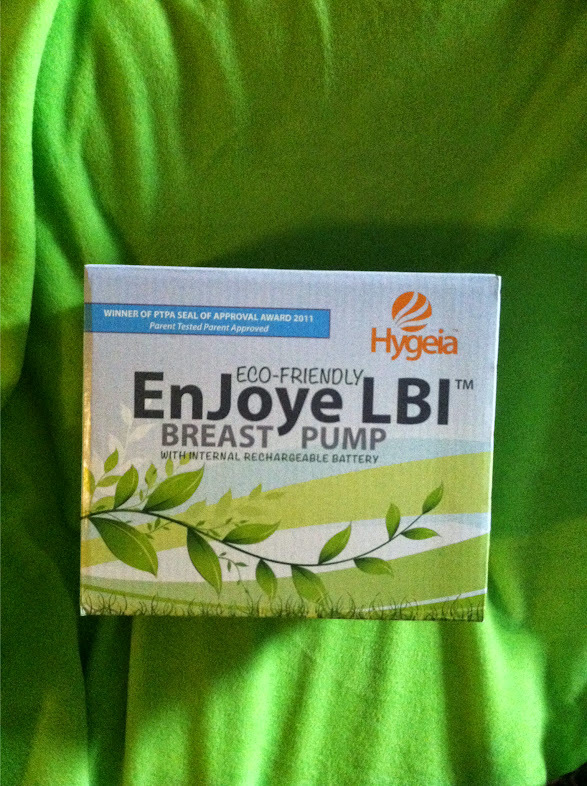 My new Hygeia breast pump! Photo by Grey Catsidhe, 2013. I have some thoughts brewing about my impending move and my garden, but I can’t help but gush! Huzzah! 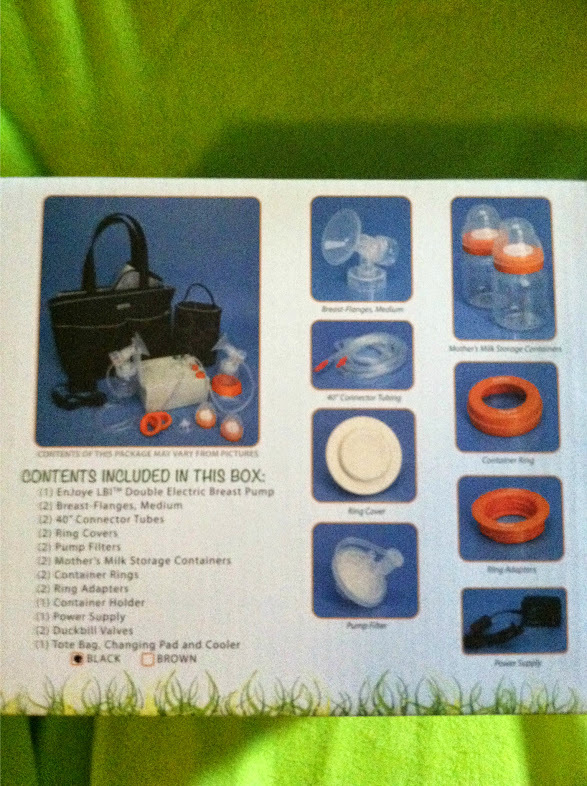 My new Hygeia breast pump is here! With all my talk about desiring a natural birth, it probably won’t be a surprise that I also hope to breast feed. A friend of mine actually gave me an old Medela pump, but I decided not to use it for various reasons. There was a broken bit, for one, and it is what’s called an “open system” meaning that “the pump motor is ‘open’ to contact with the mother’s milk particles” compared to a “closed system” which is not (La Leche League). I just couldn’t get past the giant warning on the front of the device stating that it wasn’t meant to be used by more than one person. Now I’m sure my friend is a very healthy individual, but what if she didn’t know about something? What if?! Another friend of mine, who is a lactation consultant, warned me that I should listen to my instincts. Perhaps it’s a first time mother’s irrational worries, but the threat of contracting another person’s bacteria or virus (or giving them to my baby), scared the heck out of me. Beyond that, my lactation consultant friend explained that many open system pumps are very susceptible to mold. So the pump, while generously given*, ended up getting three strikes – a broken part, LLL and the FDA do not recommend using another’s open system pump, and mold issues. I was lamenting what to do because breast pumps are expensive and my budget is currently quite tight. My consultant friend suggested looking into Hygeia pumps and, maybe, I’d get enough money at my shower to purchase one. I hadn’t heard of Hygeia before. They’re not in major shops and I hadn’t seen them on the more popular pregnancy websites such as The Bump and Baby Center. Turns out La Leche League endorses them! And the more I browse more naturally-leaning parenting stores, the more I see them offered as an alternative. Reviews looked pretty positive. All sorts of accessories to learn about! I’m not opening the box until I know I can breast feed, though. Photo by Grey Catsidhe, 2013. The biggest selling point to me is that it’s a closed system. Most closed system pumps are only available through hospitals. Hygeia only utilizes a closed system because they aim to be “eco-friendly.” They don’t want their pumps ending up in garbage dumps – the ultimate destination of many open-system breast pumps**. It’s a purchase I can feel good about because I could lend it to friends and family without worrying about the germ issue. I can send it back to Hygeia for recycling. It’s reusable. It’s recyclable. It meets my desire to live a more sustainable life and breast feed my baby while still having to work full time. I’m very grateful to my mother and my husband’s uncle for the money they gave or sent for our baby shower. So I couldn’t manage to schedule a doula for my birth. So my hope for a natural birth may be complicated by some unforeseen health issue (I hope not!). At least I have a breast pump I like from a company I feel I can support! Now I just pray to Brighid that I can actually use it! *Seriously, I’m VERY grateful to the friend who tried to help out by giving me her old pump. Very cool! I used a Lansinoh (very similar to their Affinity) and had to replace it after making it through with my daughter, shortly after my son was born. I also used a Medela hand pump when I had to go in for Drill Weekends. They’re very handy to have and will increase your milk supply dramatically! It was nice to be able to store bags of milk in the freezer for whenever you needed it. I’ve looked at hand pumps too but was told to go with an electric double pump as a full time mother. Did you notice a difference or did you not feel that you needed as much power? I loved my electric double pump and hated my hand pump, LoL! It was so much work and took a lot longer. But, thank the Gods it was only 1 weekend a month, so it wasn’t that bad – couldn’t imagine using it on a daily basis. I pumped in a rest room and didn’t have an outlet, so I just did my thing and brought the milk home with me. Gotta do what you gotta do! I would do the same – discouraging anyone from pumping and/or feeding in the bathroom. I was a very new parent, the first to breastfeed their baby in I don’t know how many generations (as I know that my mother and both grandmothers both bottle fed), and I didn’t really have any support; but I knew I wanted to do what was best for my baby. If I only knew and had the confidence I have now back then, believe me, it would’ve gone a lot different – and I wouldn’t have been “ashamed” to breastfeed in public. Probably too late, but if you have insurance, your insurance company must, by law, cover a breast pump. Often, these companies require you use a certain pump, but you might want to think about calling your insurance company (if you have one) to see if they will reimburse you. It’s a relatively recent law, so depending on how up-to-date your documents are, they might not reflect the change in law yet. Hi K – I wanted you to know that I did get in touch with my insurance company and they currently don’t cover breast pumps in my benefit package. I was told this may change down the road because of the Affordable Care Act, but a lot of it has to do with where I work and what they decide. I’m not really phased either way because I was very lucky to get the money I needed, but I hope this changes in the future for other parents who want to breastfeed while working but don’t have the money. If its a hand pump, just, be mindful of your hands. I ened up expresing for 3 months, flirting with repetative strain injury, don’t recommend that bit at all! Nope! It’s electric. So, yeah, the “eco-friendly” might not be THAT accurate… But electric was recommended to me since I’ll be a working mother.